Chiangmai Night Bazaar Boutique Hotel - Night Bazaar, Chiang Mai, Thailand - Great discounted rates! 7.5 out of 10 based on 392 verified user reviews via Agoda. Chiangmai Night Bazaar Boutique Hotel is a popular choice amongst travelers in Chiang Mai, whether exploring or just passing through. The hotel offers guests a range of services and amenities designed to provide comfort and convenience. Free Wi-Fi in all rooms, daily housekeeping, ticket service, 24-hour front desk, luggage storage are on the list of things guests can enjoy. All rooms are designed and decorated to make guests feel right at home, and some rooms come with closet, towels, slippers, television LCD plasma screen, internet access ?ÛÒ wireless. Access to the hotel's fitness center, outdoor pool will further enhance your satisfying stay. Friendly staff, great facilities and close proximity to all that Chiang Mai has to offer are three great reasons you should stay at Chiangmai Night Bazaar Boutique Hotel. 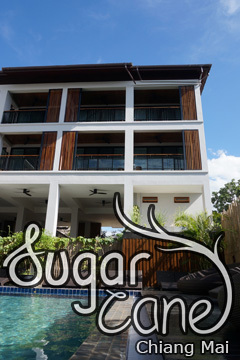 Chiangmai Night Bazaar Boutique Hotel - Chiang Mai classifies itself as a 3.5 star hotel.